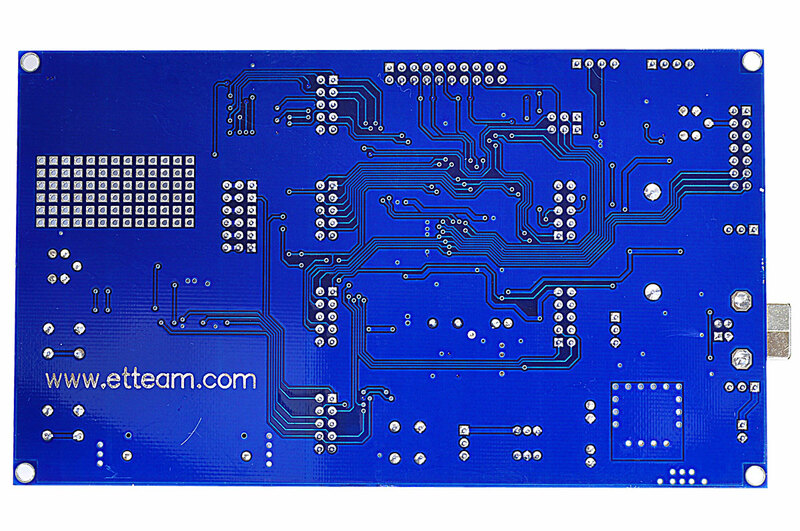 The new exciting high-performance STM32F103 Development Board. 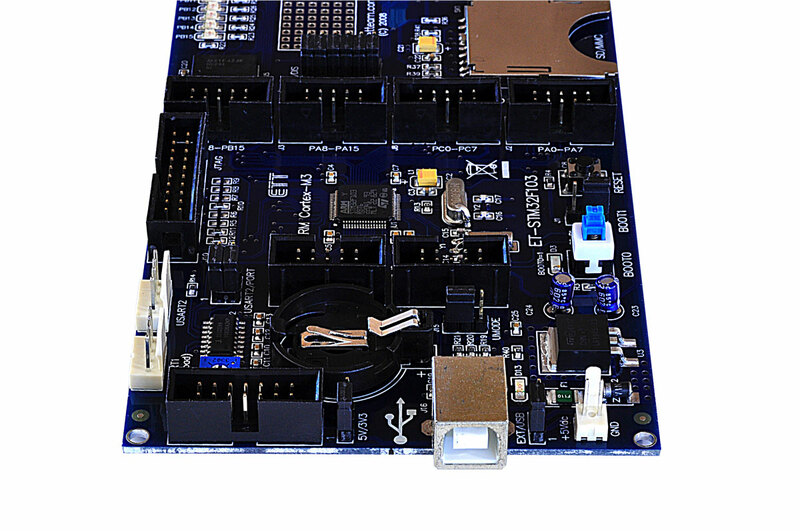 This board is packed with features and power, utilizing the latest microcontroller technology with the new ST Microelectronics STM32F103 Microcontroller based on the high-performace 32-Bit ARM Cortex-M3 Processor running up to 90 MIPS. 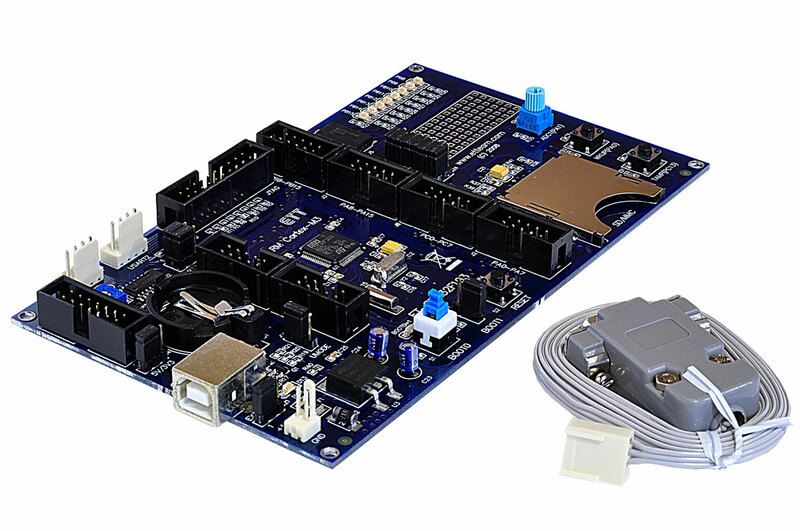 Also, come with support features making it ideal as a stand-alone controller or development board for Colleges, Universities and hobbyist. Programs can be downloaded directly via the RS232 connection, a boot-loader is pre-installed allowing easy program updates and direct in-system programming. Two bootload options are available with hard-wired boot selector on-board. 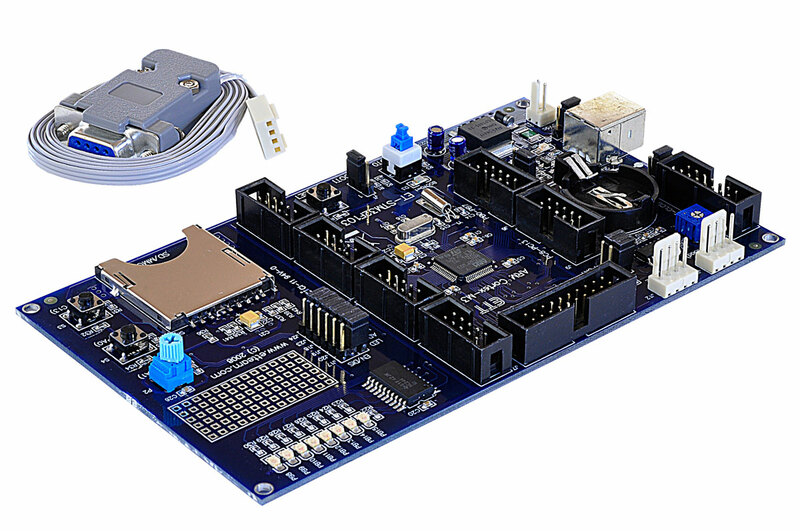 With a total flash program memory of a huge 128kBytes, this unit is ideal for large program applications and code written using high-level progamming languages such as C.
Included with the STM32F013 Development Board are all the necessary support components for immediate, ready-to-run operation. The microcontroller incorporates a total of 16 Channels of A/D Convertors with 12-bit accuracy, together with PWM outputs and all the standard interfacing protocols, including I2C, SPI, USB and 2 UART Channels. A total of 46 I/O points are available for the most extensive interfacing requirements. The board also includes a Real Time Clock and Battery Back-Up, making the unit ideal as a Real-Time Controller. A JTAG connector is included for easy program testing and debugging. The JTAG cable can be purchased separately here. A series of LED's are included for testing and status indication, as well as an adjustable analog ADC input. A standard LCD connector with contrast adjustment is pre-installed on the board. The STM32F103 Development Board also includes an SD Card socket, allowing data to be stored or read directly from or to the board. This combined with the USB connection, make this board ideal for use as monitoring system where data can be stored and uploaded via the USB conenction or directly stored on the card for later reading using a standard card reader. 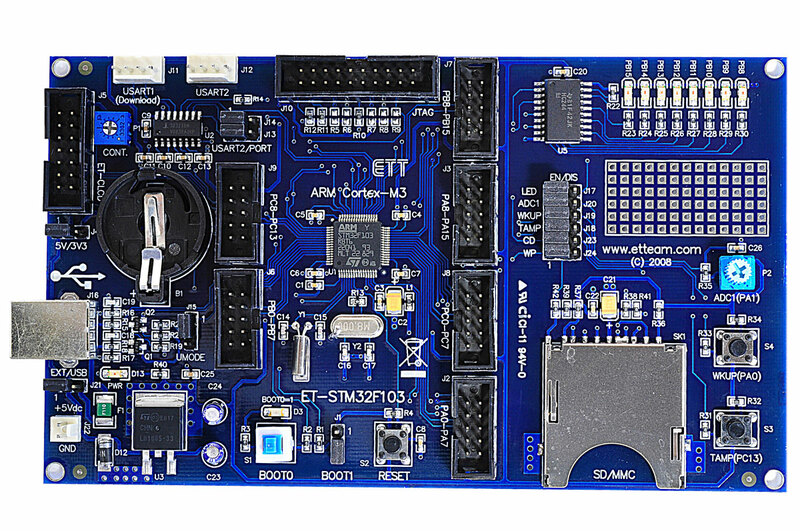 This new STM32F103 Development Board is the latest state-of-the-art solution for the most demanding high-performance applications and can be used in a wide range of embedded solutions.